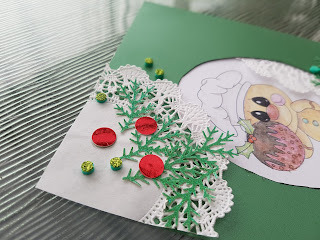 The Art Of Creating: Hiding In My Craft Room Weekly Challenge #267 - Designer Papers - using DCWV papers for a Xmas Card! 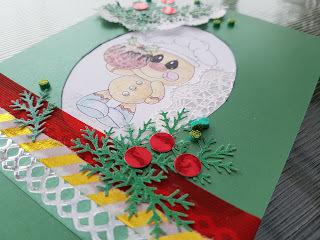 Hiding In My Craft Room Weekly Challenge #267 - Designer Papers - using DCWV papers for a Xmas Card! 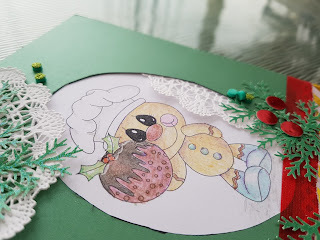 Today i am sharing a Design Team Project for Hiding in My Craft Room challenges blog. For this card i have used some very old DCWV papers from their Christmas cardstock 8x8 paper pad - it included some metallic and glitter papers and i thought it was perfect for the card i wanted to create. For the image i've used an illustration from Digital Delights - spoiler alert! this is the sponsor for the next challenge, so i will be using another super cute image to create a project with for that!! stay tuned!! 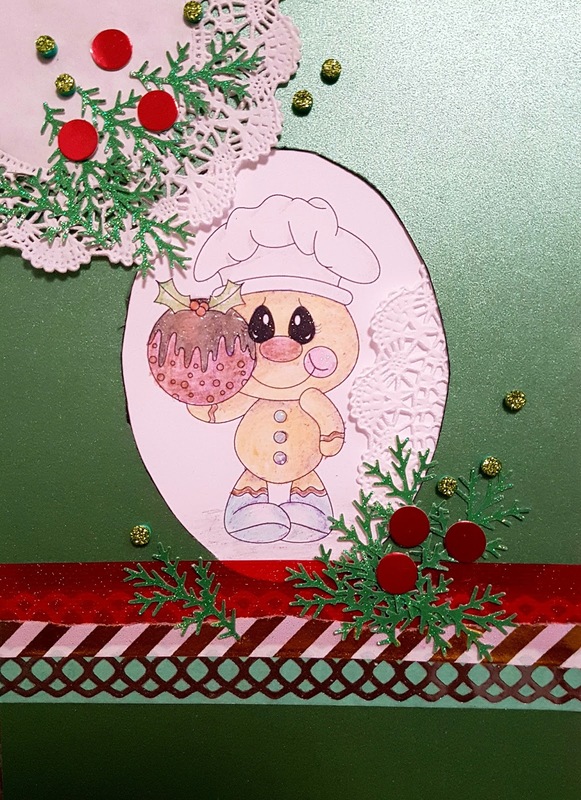 I have punched out some shapes from cardstock, coloured my image with pencils and used glossy accents to add to buttons and the cake. i've also used a Wink of Stella Glitter pen to add some shine to eyes and the cake icing.